Mrs. Ruthie Ann Burrell, 85, passed away December 5, 2018. Funeral services are scheduled for her birthday, Saturday, December 15, 2018 at 11 am at King of Kings Missionary Baptist Church. Ruthie Ann (Crawford) Burrell was born December 15, 1933 in Memphis, Tennessee to Ollie Crawford and Caroline (Dandridge) Crawford. She attended Geeter High School, Shelby County Tennessee. Ruthie accepted Christ at an early age and was baptized at New Sardis Baptist church in Germantown, Tennessee. 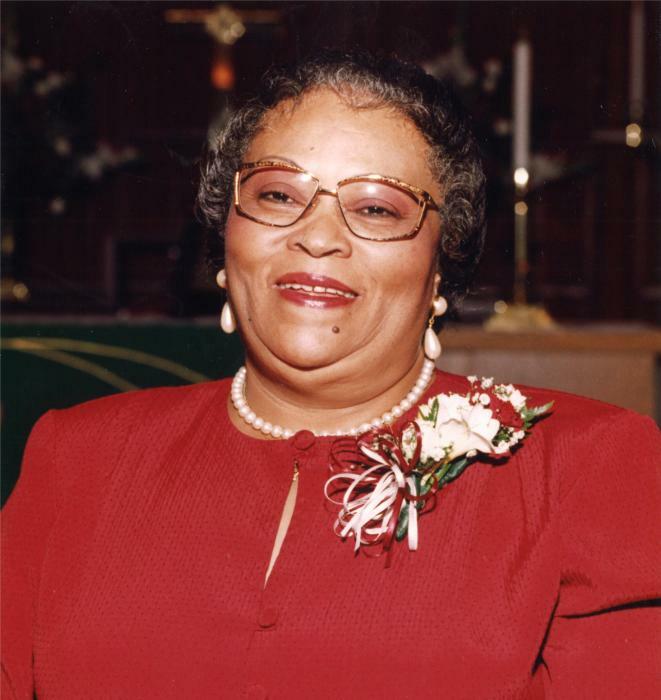 Ruthie later became a member of King of Kings Baptist Church under the pastoral leadership of Rev. Jesse Daniels. She served faithfully as a Church Mother. Ruthie met James Leland Burrell in Des Moines, Iowa and they later married on October 12, 1953. She was truly a loving and devoted wife. As a young adult, Ruthie worked as a caregiver at Oakville Hospital in Memphis, Tennessee. She was a loving and nurturing person especially for her children. She sacrificed everything for them because they came first. She was a great cook and her spaghetti was the best! She loved camping and traveling with the Rolling Wheels and the Cree Club. She loved listening to gospel music and attending church. And as you can see, she was a sassy and classy dresser! Ruthie passed from this earthly life December 5, 2018 at the age of 84. Preceding her in death were her husband, James Leland Burrell; her parents, Ollie and Caroline Crawford; her brothers, Arlee and Ollie Frank Crawford; sisters, Era B. Harmon and Betty Jean Clark. Left to cherish Ruthie’s memory are her five children, Joyce (Bryan) Dobbins, Stanley (Opie), Stevie, Patrick (Anita) and Jeffrey (Joni) Burrell; eight grandchildren, Kisha (Melvin) Glymph, Octavia, Stanlie, Trevor, Jahleel, Patrick Jr., Jessica and Jill Burrell; three great grandchildren, Muhamed, Tania and Monia Jackson; her siblings Johnnie, Oscar Lee, and Jewel (Shirley) Crawford, Sarah (James) Simms and Callie (Joseph) Thompson and a host of aunts, uncles, nieces, nephews, cousins and friends.